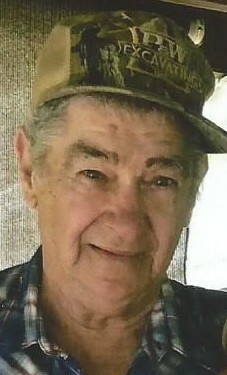 Obituary for Harold "Russ" R. Plessinger | Howard L. Sipes Funeral Home Inc.
Harold "Russ" R. Plessinger, 74, of Warfordsburg, PA passed away Friday, April 12th, 2019 at his residence. Russ was born in Needmore, PA on May 6, 1944, the son of the late Esther B. (Wagner) and Marvin C. Plessinger. He was the husband of Alma D. (Crouse) Plessinger whom he married on September 26, 1968. He was a member of the Pleasant Grove Pentecostal Church in Warfordsburg, PA, was a mechanic for Peck Equipment in Warfordsburg, PA and then at P&W Excavating in McConnellsburg, PA. Russ also enjoyed hunting and gardening. In addition to his wife, he is survived by brothers Frank C. (husband of Michelle) Plessinger, of Greencastle, PA, Howard L. (husband of Betty) Plessinger, of Phillipsburg, PA, sisters Erma May Plessinger, of Pittsburgh, PA, Marian L. Wertz, of Warfordsburg, PA, Mary L. (wife of Thomas) Wilson, of Littlestown, PA and Barbara A. Hopkins, of McConnellsburg, PA. Russ was preceded in death by brothers Fred O. and George Henry Plessinger. Visitation will be Monday, April 15th, 2019 from 10 to 11 AM at Pleasant Grove Pentecostal Church, Warfordsburg, PA. Religious Service at Pleasant Grove Pentecostal Church, Warfordsburg, PA at 11:00 AM on Monday, April 15th, 2019 with Pastor Denver Plessinger and Pastor Delmas Bard officiating. Interment at Pleasant Grove Christian Cemetery, Warfordsburg, PA. In lieu of flowers, memorial contributions may be made to the Pleasant Grove Christian Cemetery, in care of Denny Peck, 2473 Pleasant Grove Road, Warfordsburg, PA 17267. Arrangements were made by the Howard L. Sipes Funeral Home, Inc., McConnellsburg, PA. Online condolences may be expressed at www.howardlsipes.com.